Why Do You Need Balanced Skin? We frequently talk about balance in our lives. We balance our diets, balance the checkbook and try to balance our time. With all this talk about balance there is one more thing we need to balance and it is CRUCIAL. Our skin needs to be balanced too. Why do you need balanced skin you ask? I am here to tell you. If our skin is not balanced, it can trick us into thinking it is one thing when it is not. Although we can discuss balancing the pH of our skin, but that is not the type of balance I want to talk about today. Today I want to talk about Basic balance, which I believe to be our water-oil balance. Healthy skin has a perfect oil and water balance, which allows skin cells to do their job naturally and effectively. If someone asks, you which skin type you have, what would your answer be? For most people it would probably be “I’m not really sure, it might be oily or dry”. Water-Oil balance is the basis of skin type, and once your Esthetician has determined what your true skin type is, he or she can create a skin care regimen that will work FOR you and not AGAINST you. All skin requires moisture from both water and oil in order to function properly and do everything from looking and feeling great to keeping us looking younger longer. Depleted or imbalanced hydration – lacking either oil or water – is the first thing that causes our skin to become dull looking as well as increasing aging and fine lines. So when our skin doesn’t get enough moisture either due to environmental factors, intrinsic factors or simply the wrong skin care regimen our skin becomes weak and sensitive. If we don’t have proper moisture in our skin, the skin creates more oil to combat the dryness and dehydration. When our skin is out of balance it cannot defend itself from these factors and therefore can’t heal and protect itself from damage. This can lead to common skin concerns such as rough texture, redness, dry patches, flaky skin, and even acne. When these things happen, we panic and may resort to stripping cleansers, over-exfoliation, neglect, the wrong products, or a myriad of other things we think are helping, but in fact are causing more problems. With all that said, here is what you need need to know about water vs. oil in your skin. There is an important relationship between water and skin. When your skin doesn’t have enough water it is dehydrated. Since our bodies are composed 70% of water it only makes sense that we need it for our skin also. After all, skin is the largest organ of our body. Our skin cannot produce moisture on its own and relies on moisture from the water we drink and moisturizers we apply. Environmental factors can also increase the dehydration of our skin. Things like heaters in the winter, smoking, travel, and dry air can also dehydrate our skin. When our skin is dehydrated it does the best it can to compensate……it creates oil. So our skin is now dry AND oily. So we feel oily and do what we think is right which usually strips the oil and makes our skin even more dehydrated. 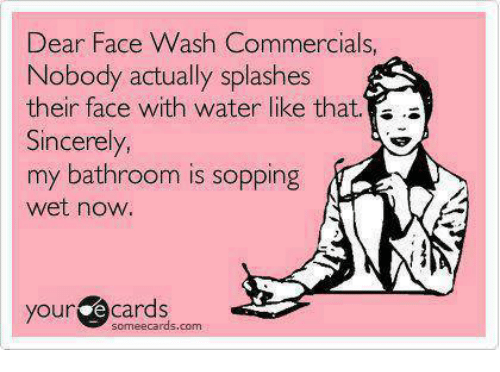 Now some people do just naturally have dry skin. Dry skin makes the least amount of its own oil. Normal skin produces a normal amount of oil and oily skin produces the most amount of oil. Age, smoking and weather conditions can cause our skin to produce less oil, and using harsh cleansers can also remove our skins natural oil. So when our skin lacks oil, that is when it gets sensitive, red, blotchy and have acne. So your skin creates more oil to combat the dryness and the dry/oily/dehydrated cycle just keep repeating! So how can you stay balanced? With a Skin care regimen that is correct for your individual skin!!! Finding products with the correct ingredients for your skin type, you may need to make changes during different seasons, and use the right amount of products. Too little can keep you dry and too many can be an overload. Sugar and Skin, a mobile spa in Suffolk Virginia (Hampton Roads), offers a Consultation and Analysis so their Licensed Estheticians can examine your skin closely and create a regimen that will be right for your skin. At a price of $35.00 if you seek treatment in their North Suffolk studio, and $55.00 if they treat you in your home, (YES, they make house calls…..so awesome!! ), this is one expenditure you will thank yourself for making! During the C&A your skin is cleansed, analyzed using a magnifying lamp and Woods lamp, and a corrective mask is applied to get your skin on its way to recovery. Then it is moisturized with a product suited for your correct skin type. Make your appointment today!! One of the questions I get asked on a regular basis by my clients is: How do I use my products? For most people the answers to these questions are the same, although there may be some variability based on individual needs. For a definitive answer based on your skin, I would advise you to make an appointment for a Consultation and Analysis, (C&A). During a C&A I cleanse the skin, and then take a detailed look under both a bright magnifying lamp and a black (Woods) lamp. After that is done I discuss in detail with each client what I see and what is the best course of action to address and correct their skin care concerns. We also discuss the products a client is currently using and how they can tweak their home skincare regimen to best suit the needs of their skin. I also always apply a corrective mask that targets clients concerns, and follow with a moisturizer suited to each person’s individual needs. An appointment for a Consultation and Analysis can be made by clicking on the Facials button and following the link. It is quite affordable at a price of $35.00, and will be very beneficial to getting your skin on the right track. So as far as how to use products there are a couple of suggestions I give to clients so they can get the best results from their skin care AND get the most use of their products. Let’s be honest, some products can be costly and I want you to get the most bang for your buck and not waste a drop. Additionally it is important to know how to get your product from the container onto your skin correctly. (Yes, there is a right and wrong way to do this.) In a previous blog, I have provided a picture that shows how much product to use and I love the fact that it is very clear and easy to understand. Toner should be used after washing for a couple of reasons. First of all it removes any cleanser that may have been left behind (which can lead to blemishes if left there), and also because it cleans and leftover oils away so your products (especially the targeted ones) can get into your skin and do what they are meant to do. Targeted products should always be the first products to go onto your skin once it is cleansed and toned. Targeted products are the performance products such as anti-wrinkle treatments, Vitamin C serums, eye Serums and treatments for hyperpigmentation (dark spots). If they are in a pump just use a pea sized amount and if they are in a jar please please use a Q-tip or other disposable item such as a Popsicle stick broken in half (I buy mine at Michaels) or a spatula to remove the product from the container. Fingers should never be used, as they can introduce bacteria and dirt into your products. 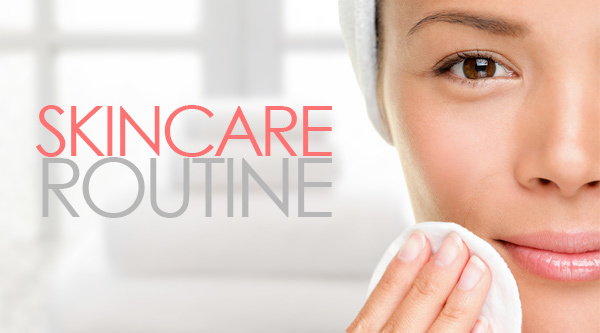 Once the targeted products are on, you can finish up your regimen to make your skin ready for the day or for sleeping. These would be things such as eye creams, moisturizers, and SPF. Eye creams should always be applied with your middle or ring finger and gently patted under, on the sides and on the upper eyelids (so you don’t pull the delicate skin around the eyes). Also, please read the instructions on your eye cream to ensure it is safe for use on your upper lid. If you are unsure send me a text or private message via Facebook and I can help. Moisturizer and SPF should be dotted around the face and rubbed in until it has been absorbed. You usually only need a pea sized amount for your entire face and neck. Yes, please pull your moisturizer done to your neck. And if you are wearing a v neck or scoop neck shirt apply a little to your décolleté also so you don’t have a youthful face and old looking neck and décolleté area. Please remember these are general guidelines and may be different for each person based on their skin and skincare needs. If you are unsure about your products or need further guidance please schedule an appointment for a C&A so we can get you on the right track to correcting any concerns and having beautiful skin! Here at Glam and Go, LLC we offer a Consultation and Analysis so our Licensed Estheticians can examine your skin closely and create a regimen that will be right for your skin. At a price of $35.00 if you come to us and $55.00 if we come to you, this is one expenditure you will thank yourself for making! During the C&A we cleanse your skin, do a detailed and thorough analysis using a magnifying lamp and Woods lamp, cleanse again, apply a corrective mask to get your skin on its way to recovery and moisturize with a product suited for your correct skin type. Make your appointment today! !